More than three decades after his earliest recordings, Lorber has come full circle. His new recording, "Galaxy", set for release January 31, 2012, on Heads Up International, a division of Concord Music Group, revisits a sound he helped pioneer. The album takes the experiment that he started with his last GRAMMY®-nominated CD, "Now is the Time", up a notch with 11 exciting and energetic new compositions performed by some of the biggest names in jazz today. Core members Lorber, bassist Jimmy Haslip and saxophonist Eric Marienthal are in rare form, aided by the explosive playing of drummer Vinnie Colaiuta and guest appearances by trumpeter Randy Brecker, percussionist Lenny Castro, guitarists Paul Jackson Jr. and Larry Koonse, and drummer Dave Weckl. Lorber’s music reaches a new level by crystallizing jazz, funk, and Latin rhythms with some killer melodies that will certainly translate to live performance. The first track, “Live Wire,” blends a blistering house beat with extended solos by Lorber and Koonse and some amazing drum fills from Colaiuta. “Big Brother” moves into hip hop territory, similar to Jeff's grooving “Rain Dance,” which became a huge hit for Notorious Big and Lil' Kim as “Crush on You.” “Montserrat” sounds like a mixture of Sly Stone and Tower of Power, with super funky horn arrangements by Dave Mann. Obviously, a year spent touring together has made Lorber, Haslip and Marienthal into a tight unit, which is evident from this recording. 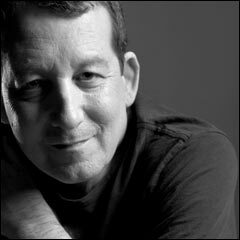 The entity formerly known as the Jeff Lorber Fusion became Lorber’s solo career with the release of "It’s a Fact" in 1982. After a brief but prolific stretch culminating with the highly successful "Private Passion" in 1986, Lorber took a break from recording his own material, opting instead to do session work and produce other artists. He resumed his solo career in 1991 with "Worth Waiting For", although he continued to produce for the remainder of the decade. Lorber has been just as prolific and innovative in the new century as he was in the last, with recordings on Narada ("Philly Style", "Flip Side"), Blue Note ("He Had a Hat"), and most recently Peak ("Heard That").